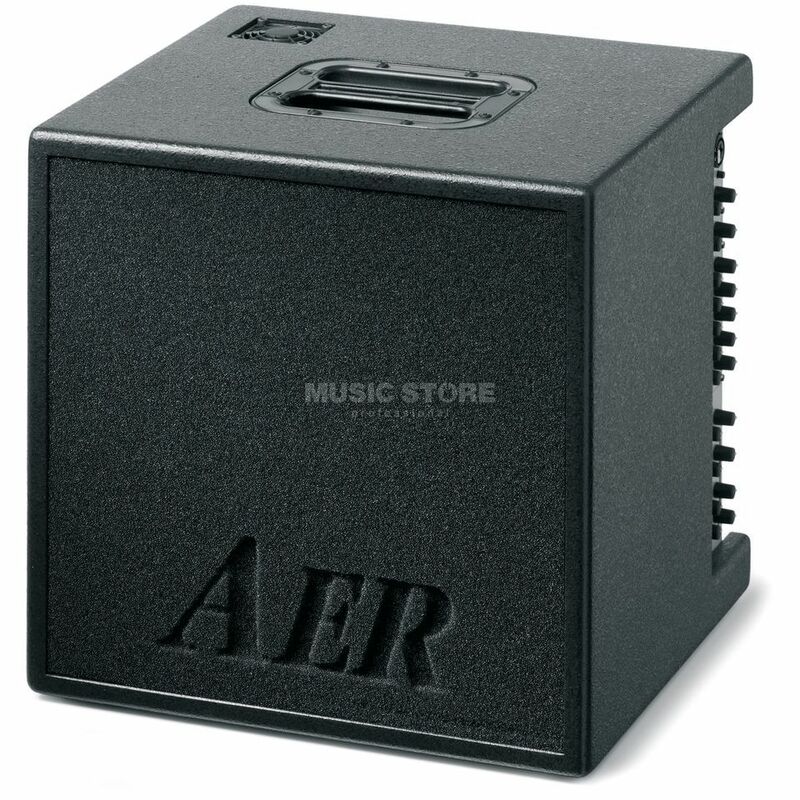 The AER Basecube 2 Amplifier - In its 2nd generation it is a 'real' 12" and 1" horn coaxial system which works extremely well in its very small bass -reflex cabinet. A huge imporvement in sound and quality as well as performance. AER have also implemented their new advanced dynamic control technology and have extended the dynamic range substatially. Driven by the new AER 500W / 8Ohm class D power amp the AER Basecube 2 had got the power to go down to the lowest frequencies in an effortless manner that can be noticed. Well balanced analogue sound design covers the range gently proportionate so that the tone always stays crisp, clear and transparent yet powerful and defined. Its two channels are equally equipped and allow two different instrument setups and be sure it works very well for electric bass too.